There’s more than one reason why an entrepreneur would wish to pivot their business. Perhaps it’s not performing as well as hoped, or a new inspiration has struck. Whatever the impetus may be, pivoting a company can be a second lease on life for a faltering business. However, when taking business in a new direction, many aspects of the old venture could be lost — including things that are actually working. It’s important to take careful stock to be sure the time is right and the good won’t be lost with the bad. Then, once the decision is made, there are vital steps to take to begin the new phase of a business journey. 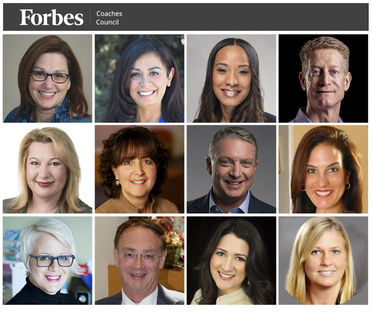 To help, 12 members of Forbes Coaches Council share the counsel they would give a client looking to pivot their business. Members of Forbes Coaches Council share the advice they would give business clients considering a pivot.Photos courtesy of the individual members. Some entrepreneurs fear to do something else or to add more services/features to their portfolios because they think it shows failure or weakness to feel passionate about something other than what they’ve been doing. So, I tell my clients that it is okay to want to shift gears. This is what entrepreneurship is about. I also remind them that many business owners have sold their first companies. – Lakrisha Davis, Lakrisha Davis & Co. I would want to understand the resources, talent and expertise needed to be successful in the new strategy. Too many seek to shift their strategy without understanding whether their organization has the capabilities, resources and time to be successful. The strengths that made them successful in the past may be weaknesses in the future. There has to be an understanding of what is required for success. – Stephen Ford, Fitzgerald, Stevens & Ford, Inc./OI Global Partners, Inc.
A strategic pivot can be the key driver that ensures a business’ survival or sustained growth. Conversely, a reactive pivot, without proper due diligence, can be detrimental to the integrity of the business model. The questions to ask when looking to pivot your business are: Why pivot? What is the long-term impact? How does this support your business goals? – Michela Quilici, MQ Consulting and Business Training, Inc.